Dawson was the home of the Klondike gold rush and in 1899 when George Carmack found gold in a Wolf Creek he started a stampede of thousands of men. The gold mining is still going on today. The first few years were dominated by small individual concerns mining the gold using pans, sluices and small workings. However shortly after the turn of the century big corporations became involved and dredges were used. 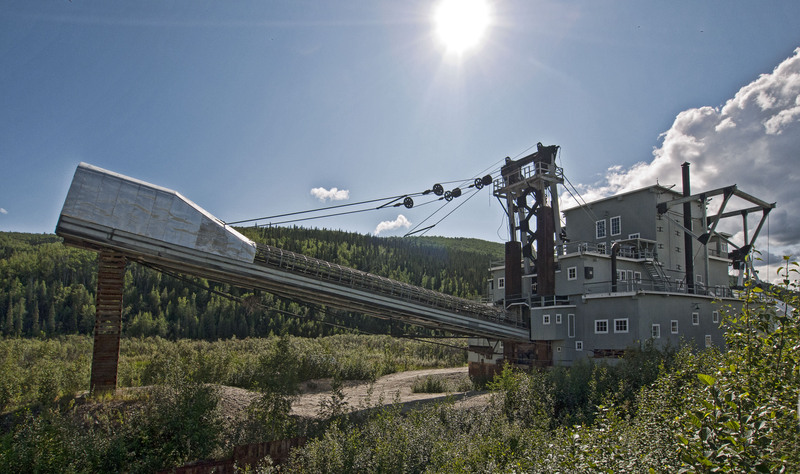 We toured Dredge No.4 which was the biggest one in use and which has been preserved by Parks Canada. A Dredge was an enormous (No.4 is 2/3 as long as a football pitch and 8 stories high, weighing over 3000 tons) barge which sat in a pond of its own making. It dug out the ground at the front and dumped out the “tailings” at the back. The pond would move, slowly, like this. In the interior of the Dredge was a system for separating the gold from the rest of the material first using a sorter then a series of sluices. No.4 was built in 1912 and continued working right up until 1960 . Perhaps the most amazing thing is that the dredge was operated by only 4 people although an army of people were required to prepare the ground for 5 years ahead of the Dredge– particularly to thaw out the permafrost. The Dredges completely destroyed the creeks and valleys that they worked on and driving towards Dawson the extent of the impact can be seen as there are miles of piles of gravel and rock. Modern day mining is controlled for environmental impact but this wasn’t the case back then. Just up from Dredge No.4 is the Discovery Claim – this is the place gold was discovered for the first time in Dawson and then a bit further upstream is claim No.6 which has been set aside for anyone to try their hand at gold panning. We had a go but probably not surprisingly given a complete lack of technique didn’t find anything. After this we drove up to half Dome – a hill overlooking the town and the Yukon river. We lunched here with a spectacular view. 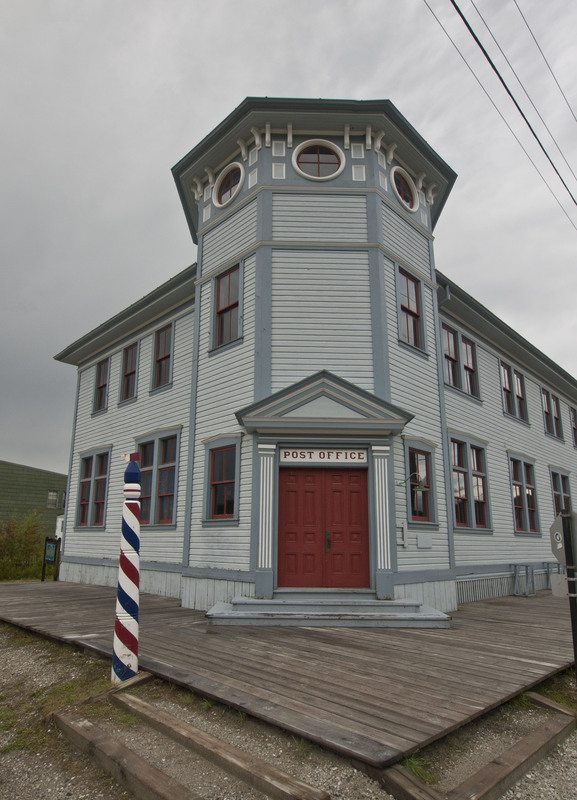 The town of Dawson itself is one of the nicest towns we have seen in Canada. 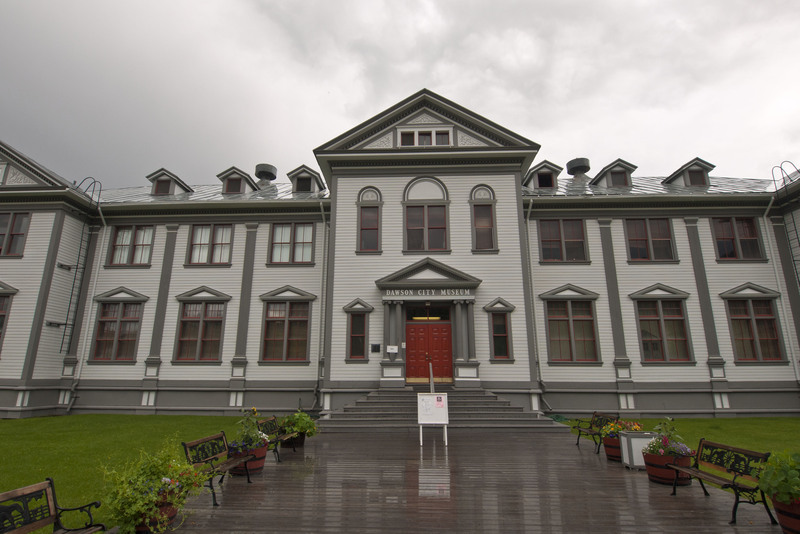 Almost all the buildings date back from the gold rush itself and large number have been carefully restored. 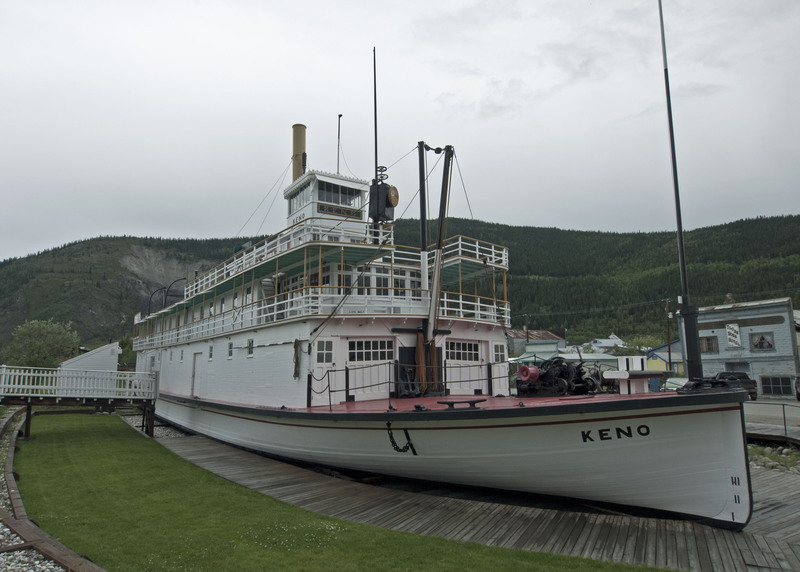 In addition they have the SS Keno, a small sternwheeler that used to bring silver ore from Mayo to meet the Klondike for transfer to Whitehorse, preserved on the waterfront. After spending some time in Dawson we caught the free ferry over the Yukon and settle d into the campground there for the night. 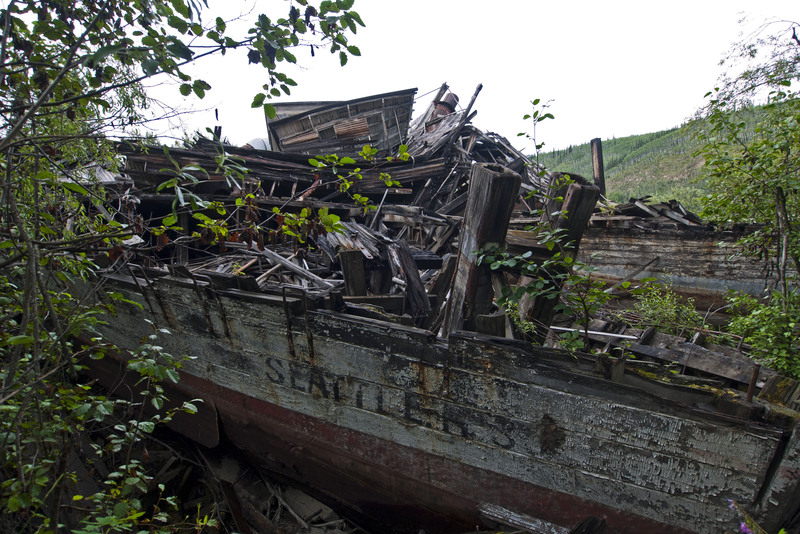 This was the ideal location to take a hike to the Sternwheeler graveyard. 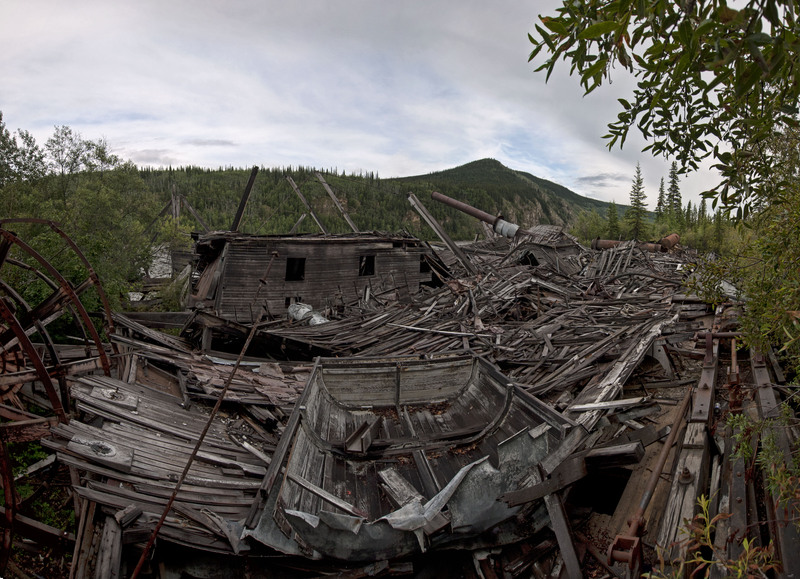 After the road was built the sternwheeler’s became unprofitable and a number of them were left to rot in Dawson. They are now pretty smashed up but still make an interesting destination. Obviously not many people visit them because the trail is pretty overgrown and a bit of effort is required but it was well worth it.